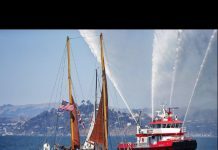 Monterey, CA – Hikianalia sailed into Monterey Harbor earlier this week and received a ceremonial welcome yesterday from the Monterey community. 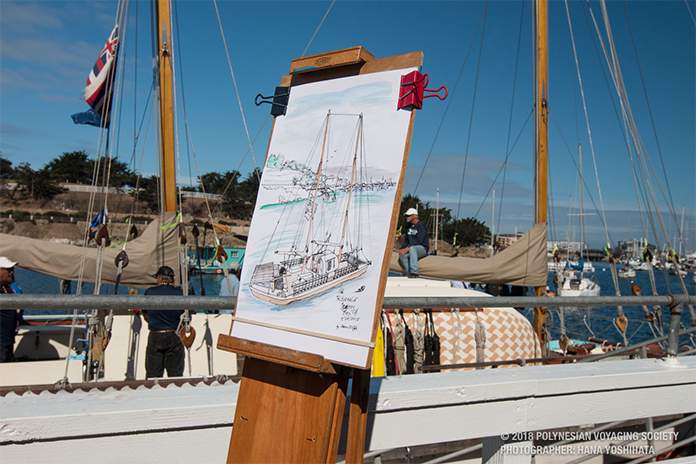 During the stop in Monterey, the crew is making school visits and conducting public dockside canoe tours. 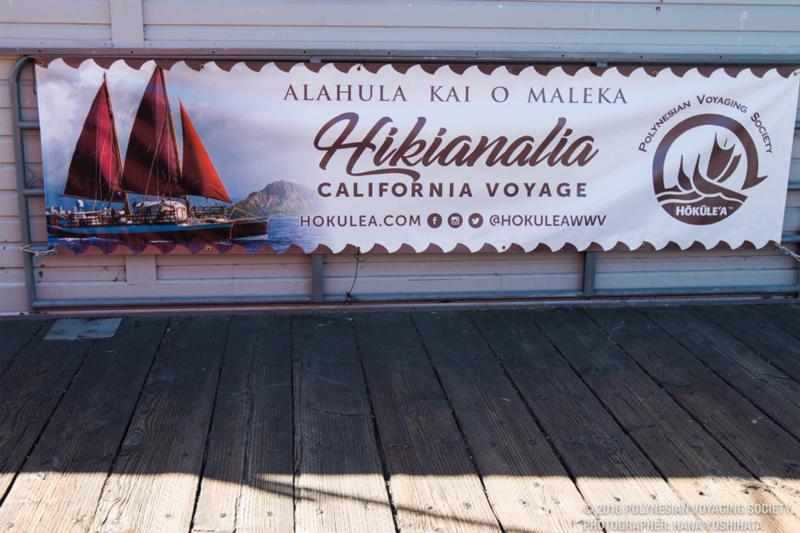 Since arriving into San Francisco on Sept. 16, 2018, Hikianalia has made stops in Sausalito and Half Moon Bay. Following the stop in Monterey, the crew will head to Ventura County for stops at Ventura Harbor, Channel islands Harbor and Santa Cruz Island. Below is the tentative port schedule. 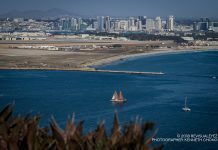 Please check hokulea.com for the latest updates. The crew arrived just in time for the Global Climate Action Summit, Sept. 12-14. Host Governor Jerry Brown of California invited Polynesian Voyaging Society president Nainoa Thompson and Hikianalia captain and navigator Lehua Kamalu to deliver a message about the importance of caring for the oceans at the Summit this morning. The voyagers received a standing ovation from the audience after their inspiring remarks.